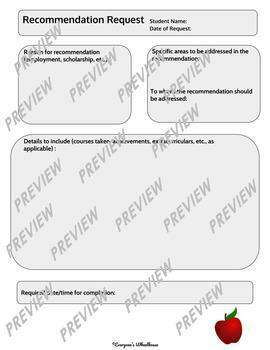 These ready-to-print forms will help you stay organized and help students to take responsibility for their requests. 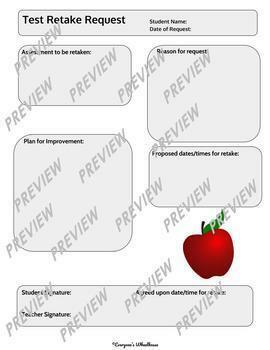 Simplify things with these three classroom forms today! 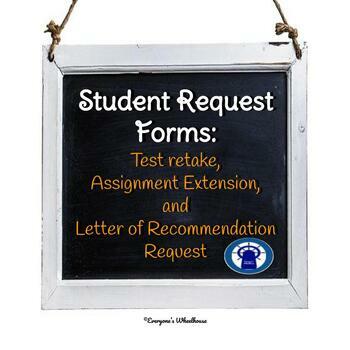 Students will complete requests for test retakes, for assignment deadline extensions, and for letter of recommendation requests, making your life a little less hectic.